This entry was posted on May 5, 2015 by David Crews. 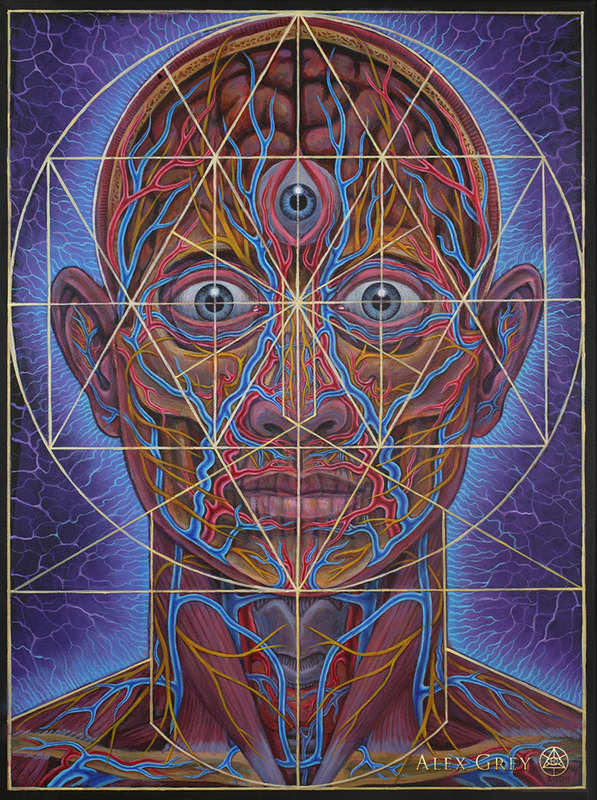 It was filed under Ayahuasca & Entheogens, Shamanism, Animism, Musings: Life, Death, Past, &Future, Uncategorized and was tagged with AI, Alex Grey, artificial intelligence, ayahuasca, computer, consciousness, Daegene Song, Graham Hancock, life, nature of consciousness, reductionist, self aware, spirit. Not sure there is really much new in this. It seems to me very similar to Roger Penrose’s arguments in Shadows of Mind. I think the gist of it is the Turing Halting Problem. I think the argument is something like this. We can’t create a program that can draw a conclusion (whether it will halt) about all other programs. Consciousness requires the ability to self-reflect, that is to draw conclusions about consciousness. Hence, consciousness isn’t computable. BTW, have you read Waking, Dreaming Being by Evan Thompson. I plan to post something related to it and perhaps this Song argument soon.